Since the first week of the year, 280 attacks have been registered, including the burning of buses, vehicles, public buildings, and banking establishments, as well as bombs placed in utility facilities across the state. RIO DE JANEIRO, BRAZIL – Despite the presence of the Armed Forces in some of Ceara state’s largest cities, attacks by organized crime continues to plague the state. 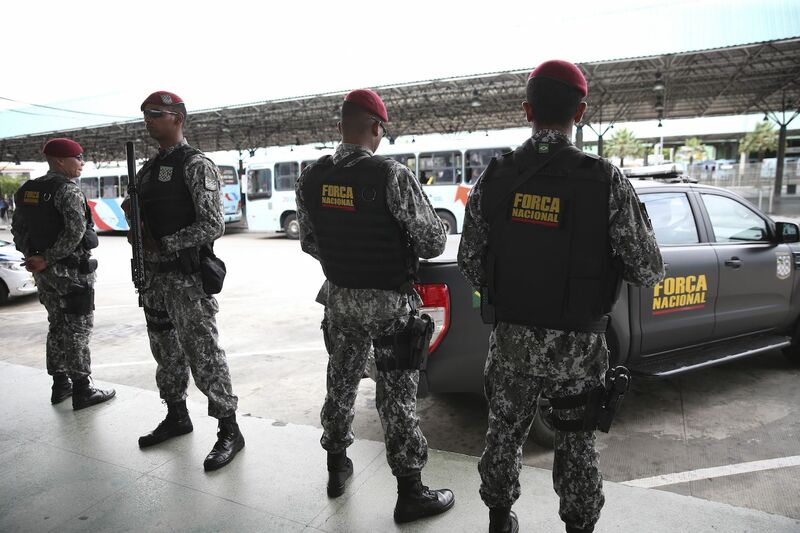 Authorities from Ceará confirmed four more incidents, including two schools, that may be associated with the wave of orchestrated attacks that hit the state since the first days of 2019. Despite the presence of Armed Forces patrol on the streets of Fortaleza, attacks continue in the state, photo by Jose Cruz/Agencia Brasil. According to officials the Municipal School Geralda Bonifácio Rodrigues, in Itarema, outside of Ceara’s capital Fortaleza, the fire destroyed electronic devices, teaching materials, chairs, tables and other equipment. The mayor of Itarema classified the acts of arson as those conducted by ‘cowards’. “The institutions were damaged and the damage was not worse because people from the region collaborated to quench the flames,” the town’s administration said in a statement. In São Benedito, 300 kilometers from Fortaleza, criminals launched a Molotov cocktail at a substation of energy distributor Enel, setting it on fire and causing blackouts in several neighborhoods across the region. Ceará’s governor, Camilo Santana, asked Justice Minister Sergio Moro to send federal troops to patrol some of the more violent regions of the state. According to state officials and public security experts, the orchestrated attacks may be coming from within the penitentiaries, as a reaction by criminal factions to the appointment of the Secretary of Prison Administration, Luís Mauro Albuquerque, and the announcement of measures to strengthen security in prisons, such as the non-separation of prisoners in prisons by faction.